My friend got me this cos I'm constantly flaking due to my dry skin, she said xD Wouldn't want to leave fragments of my DNA all over the place, eh? It is essential to apply body lotion after a scrub to moisturize and protect skin. The Soap & Glory Flake Away already contains shea butter in it to replenish moisture. I love products with shea butter as I find them to be more effective then others, even in lip balms. I've tried my fair share of body scrubs but they are usually really rough, sparse, mostly liquid and dries me out badly. I was glad to find that this one is densely packed with fine granules and is rather thick. That's the way a body scrub should be like..
Gently massage skin in circular motions. The beads will dissolve away so it won't be too harsh even on sensitive skin. I use probably a tablespoon for my whole body. Flake Away smells amazing! It reminds me of the watermelon flavoured Bubble Yum. After my shower, my whole bathroom (and me included) is flooded with this yummy scent. Skin is also baby soft thanks to the shea butter. Scrubbing away dead skin can help enhance absorption of products, reveal smoother skin underneath and remove dull complexions. However, over-scrubbing can cause dryness and sensitivity. Thankfully, this product is just perfect. 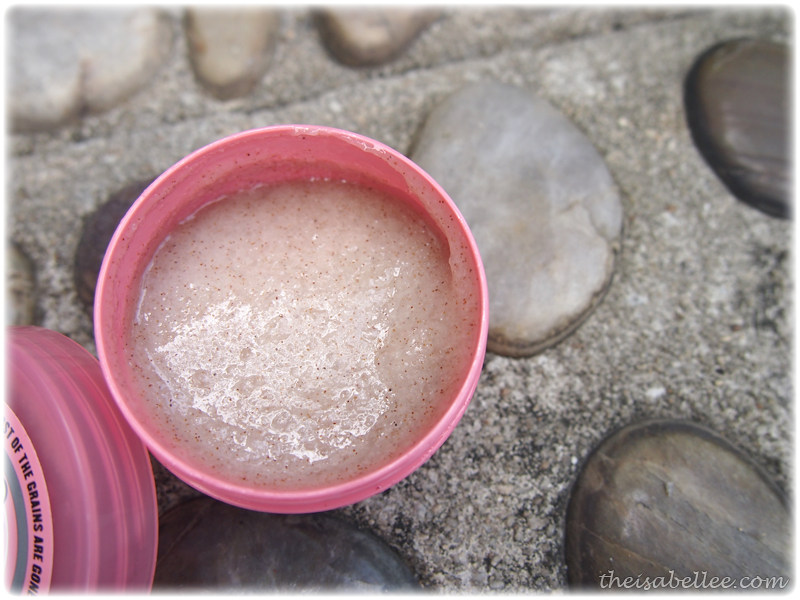 After trying it, I can't imagine going back to my previous body scrubs urgh!